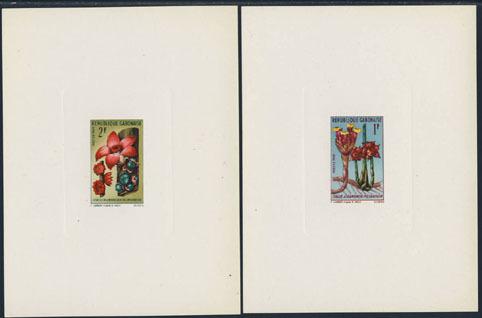 16182 EL GABON (1961) Combretum*. Deluxe sheet. Combretum has been used in China as a decoction to cure the opium habit. Scott No 154, Yvert No 153. 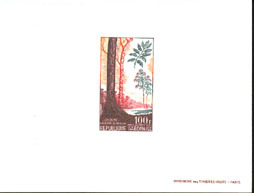 16183 EL GABON (1961) Tulip tree blossom*. Deluxe sheet. Scott No 155, Yvert No 154. 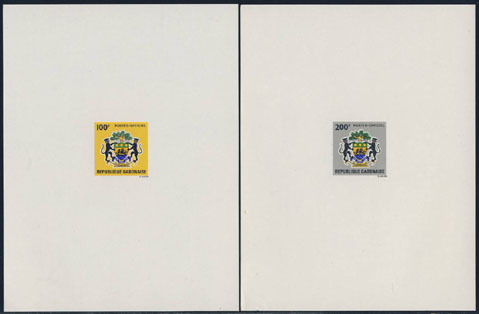 16184 EL GABON (1961) Yellow cassia*. 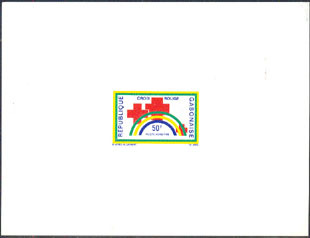 Deluxe sheet. Scott No 156, Yvert No 155. 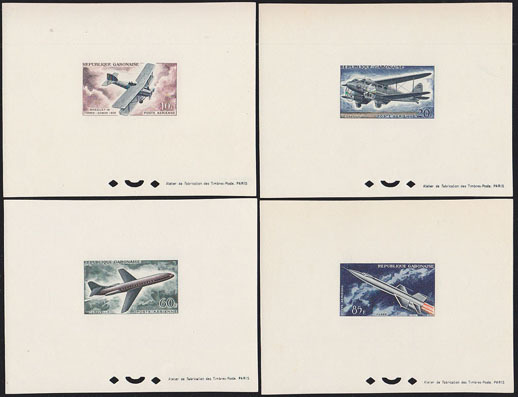 15488 EL GABON (1962) Biplanes to Rocket*. Set of 4 deluxe sheets. Scott Nos C7-10, Yvert Nos PA7-10. 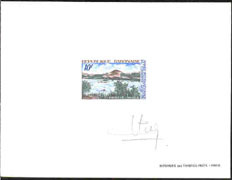 4077 EL GABON (1964) Tarpon*. Deluxe sheet. Scott No 172, Yvert No 171. 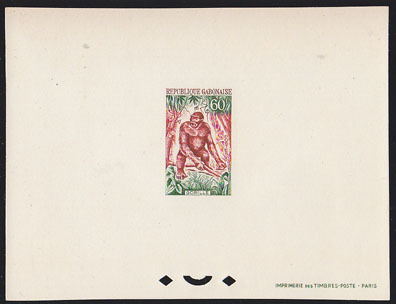 18029 EL GABON (1964) Gorilla*. Deluxe sheet. Scott No 173, Yvert No 172. 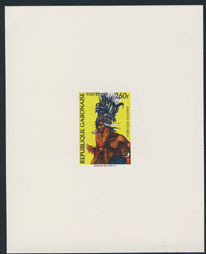 18039 EL GABON (1964) Buffalos*. Deluxe sheet. Scott No 174, Yvert No 173. 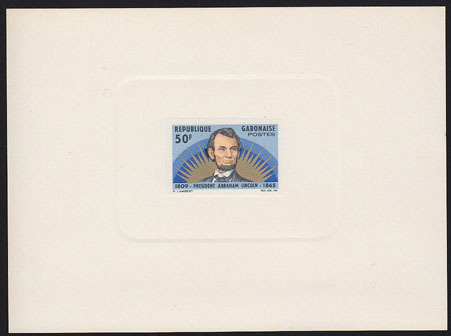 18617 EL GABON (1965) Lincoln*. Deluxe sheet. Scott No 186, Yvert No 185. 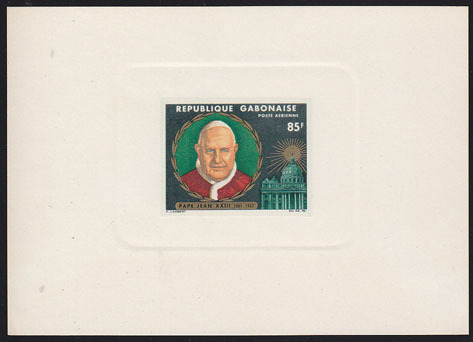 18820 EL GABON (1965) Pope John XXIII*. Deluxe sheet. Scott No C40, Yvert No PA42. 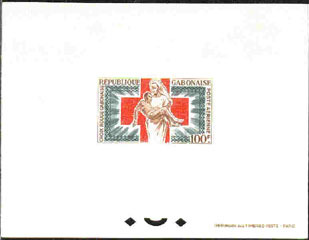 18858 EL GABON (1965) Red Cross nurse carrying sick child*. 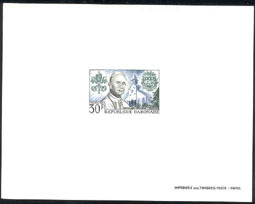 Deluxe sheet. Scott No C34, Yvert No PA36. Hard to find! 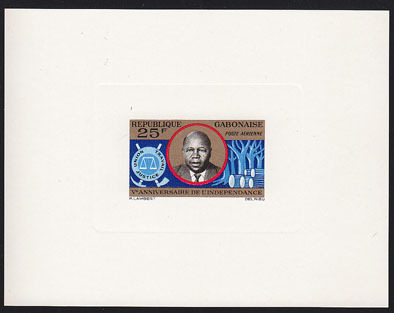 19155 EL GABON (1965) President Mba. 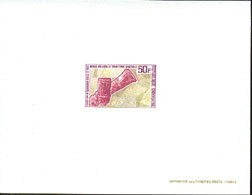 Deluxe sheet. Scott No C37, Yvert No PA39. 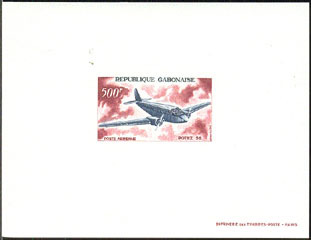 3484 EL GABON (1966) Caisse d'épargne*. Épreuve de luxe. Yvert No 198, Scott No 199. 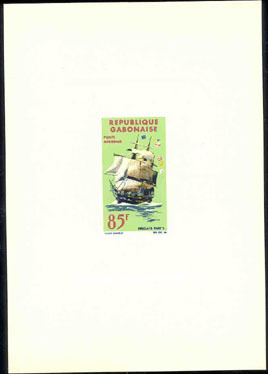 18772 EL GABON (1966) Offshore oil rig*. Deluxe sheet. Scott No 198, Yvert No 197. Attractive! 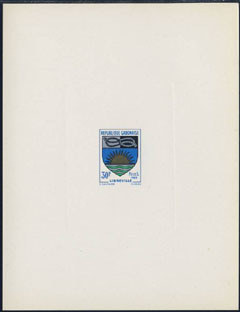 345 EL GABON (1967) Atomic symbol*. Deluxe sheet. IAEA. Scott No 216, Yvert No 215. 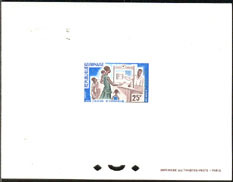 2092 EL GABON (1967) Pope Paul VI*. 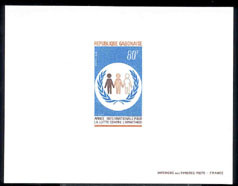 Deluxe sheet, commemorating encyclical "Populorum progressio" concerning underdeveloped countries. Scott No 217, Yvert No 216. 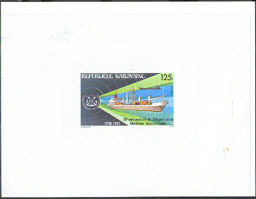 2312 EL GABON (1967) Mail ships*. 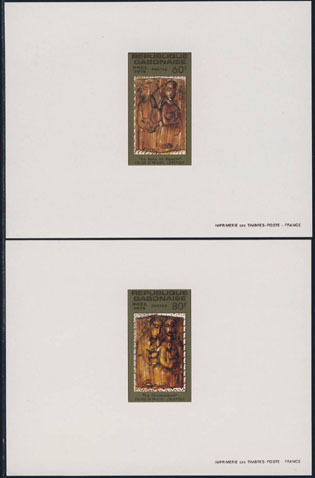 Deluxe sheet of diptych. Stamp Day. Scott No 222a, Yvert No 224a. 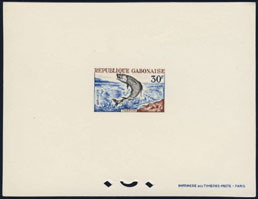 2553 EL GABON (1967) Diving platform*. Deluxe sheet. Mexico Olympics. Scott No 213, Yvert No 212. 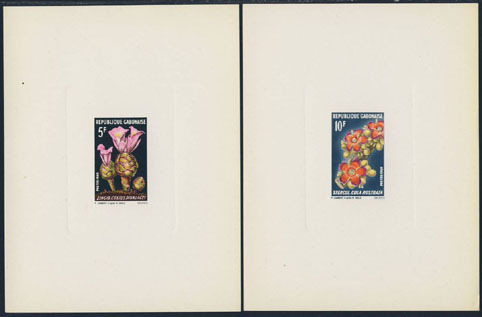 11695 EL GABON (1967) Draconea fragrans*. Deluxe sheet. Scott No 223, Yvert No 220. 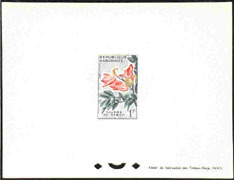 11696 EL GABON (1967) Pycnanthus angolensis*. Deluxe sheet. Scott No 224, Yvert No 221. 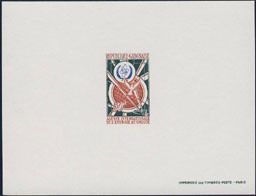 11697 EL GABON (1967) Distemonanthus benthamianus*. Deluxe sheet. Scott No 225, Yvert No 222. 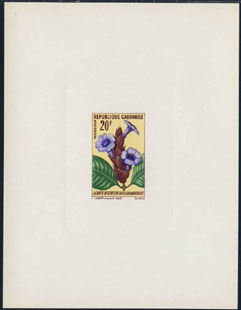 11698 EL GABON (1967) Baillonella toxisperma*. Deluxe sheet. Scott No C50, Yvert No PA63. 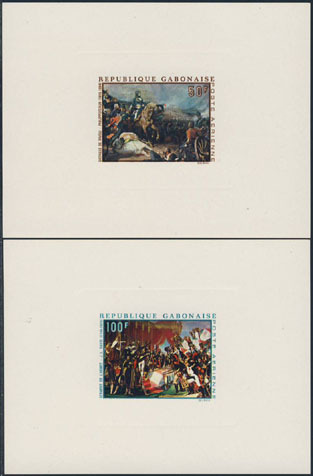 11699 EL GABON (1967) Aucoumea klaineana*. Deluxe sheet. Scott No C51, Yvert No PA64. 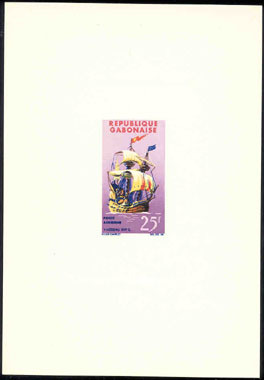 5347 EL GABON (1968) Boxing*. Deluxe sheet. Mexico Olympics. Scott No C73, Yvert No PA75. 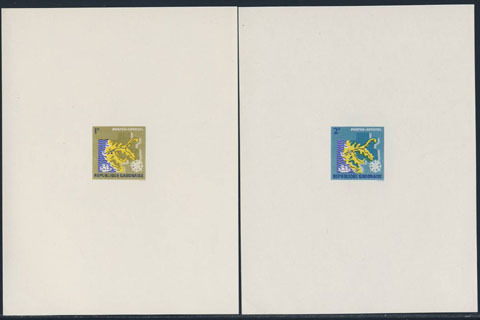 5388 EL GABON (1968) High jumper*. Deluxe sheet. 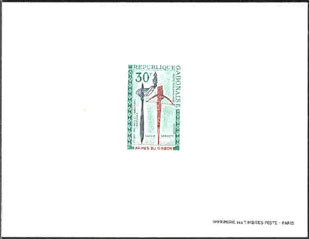 Mexico Olympics. Scott No C70, Yvert No PA72. 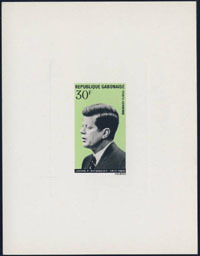 1567 EL GABON (1969) J. F. Kennedy*. Deluxe sheet. Scott No C79, Yvert No PA81. 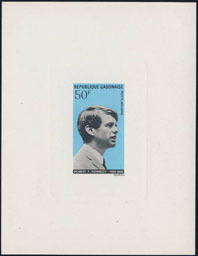 1568 EL GABON (1969) R. F. Kennedy*. Deluxe sheet. Scott No C80, Yvert No PA82. 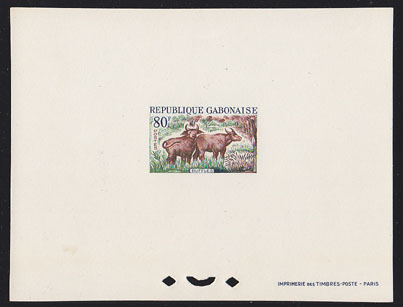 9109 EL GABON (1969) Antelope*. 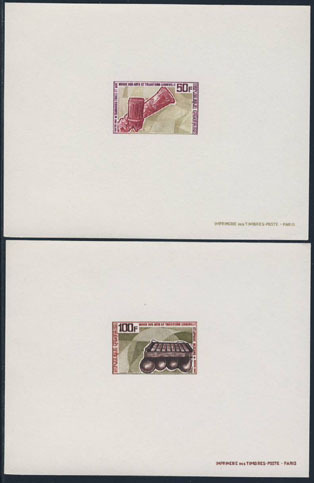 Deluxe sheet, Situtunga trophies. Scott No 239, Yvert No 238. Lovely! 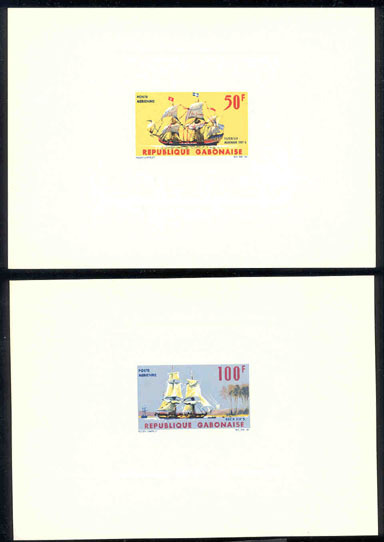 10814 EL GABON (1969) Mvet*. 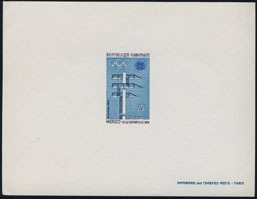 Deluxe sheet. Scott No 240, Yvert No 239. 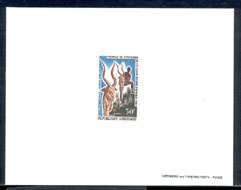 10815 EL GABON (1969) Ngombi harp*. 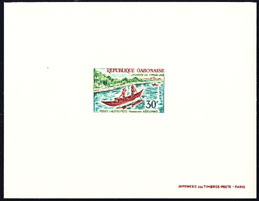 Deluxe sheet. Scott No 241, Yvert No 240. 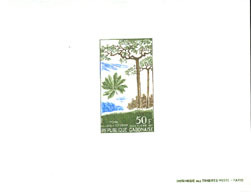 10816 EL GABON (1969) Ebele & Mbe drums*. 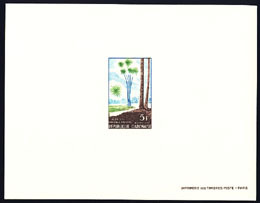 Deluxe sheet. Scott No 242, Yvert No 241. 10817 EL GABON (1969) Medzang xylophone*. 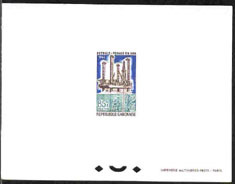 Deluxe sheet. Scott No 243, Yvert No 242. 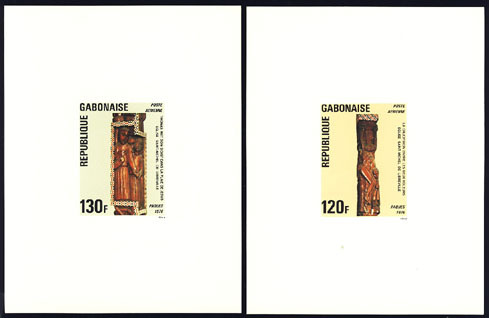 17837 EL GABON (1969) Okanda gap rapids*. Deluxe sheet signed by the engraver HALEY. Scott No 236, Yvert No 235. Attractive! 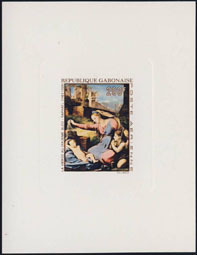 3245 EL GABON (1970) Madonna with blue diadem by Raphael*. Deluxe sheet. Scott No C102b, Yvert PA106. 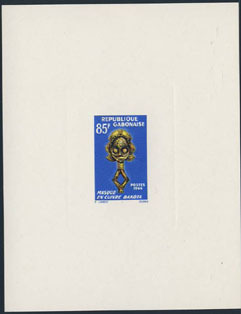 11196 EL GABON (1970) Adoumas pirogues*. 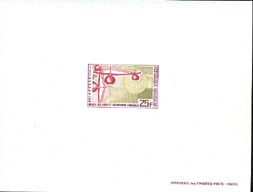 Deluxe sheet. Scott No 256, Yvert No 255. 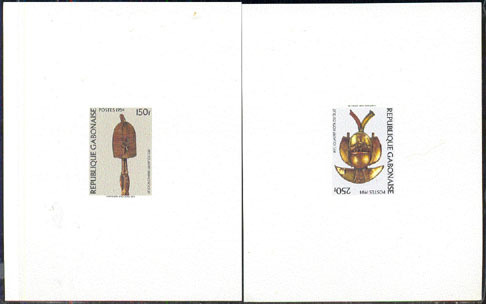 17860 EL GABON (1970) Assegai*. Crossbow*. Deluxe sheet. Scott No C97, Yvert No PA99. 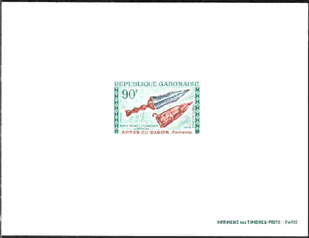 17861 EL GABON (1970) Dagger*. 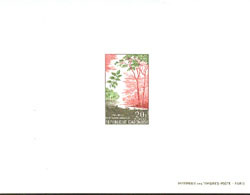 Deluxe sheet. Scott No C99, Yvert No PA101. 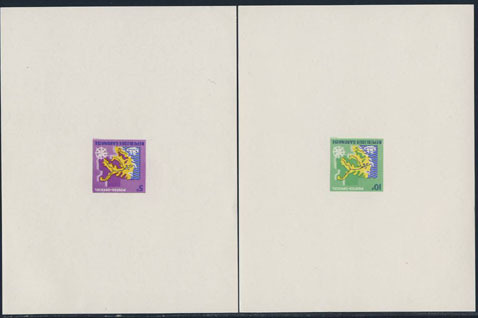 8015 EL GABON (1971) Rainbow*. Red crosses*. 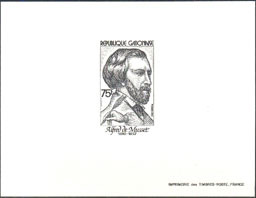 Deluxe sheet. Scott No C116, Yvert No PA111. 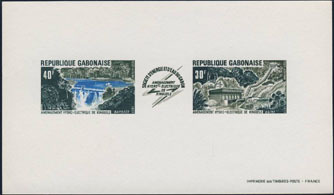 1086 EL GABON (1973) Kinguélé Dam & Hydroelectric Station*. 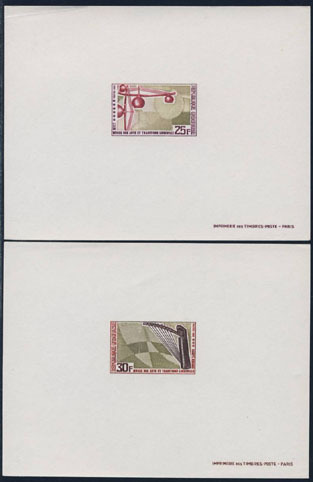 Deluxe sheet of triptych. Scott No C140a, Yvert No PA140a. 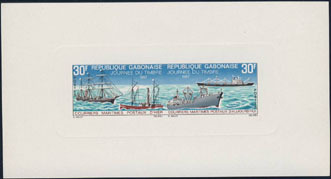 3901 EL GABON (1974) de Gaulle*. Deluxe sheet. Scott No C145, Yvert No PA145. 4280 EL GABON (1974) Manioc*. Dates*. Set of 2 deluxe sheets. 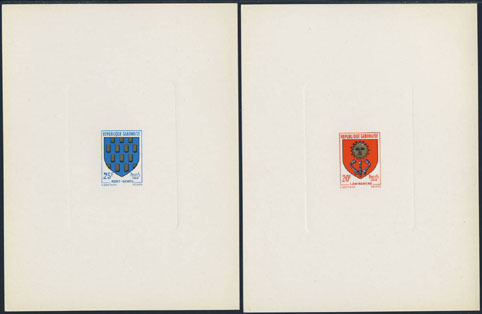 Scott Nos 336-7, Yvert Nos 335-6. 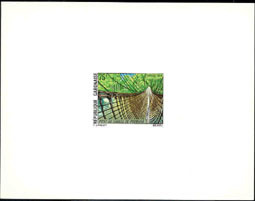 9760 EL GABON (1974) Rope bridge*. Deluxe sheet. Scott No 335, Yvert No 334. 236 EL GABON (1975) Crucifixion*. Resurrection*. Set of 2 deluxe sheets. 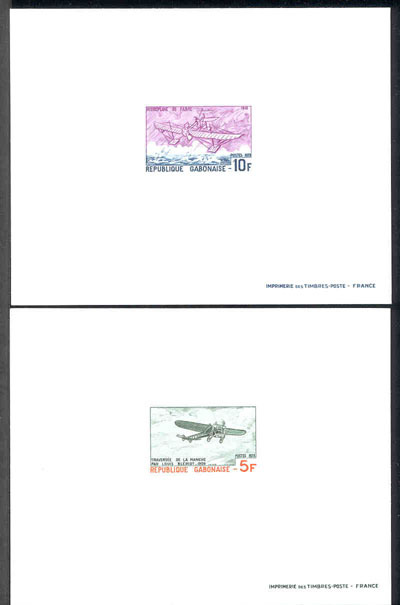 Scott Nos C160-1, Yvert Nos PA160-1. 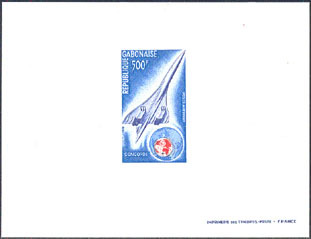 7019 EL GABON (1975a) Concorde*. Globe*. Scott No C172. Yvert No PA172. Deluxe Sheet. 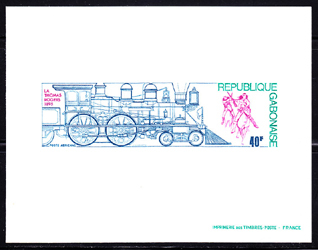 8592 EL GABON (1975) 1895 La Thomas Rogers locomotive*. Indians attacking. Deluxe sheet. Scott No C164, Yvert No PA164. 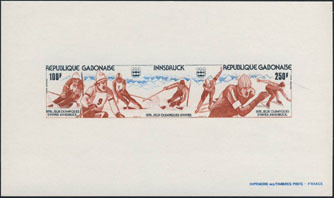 5436 EL GABON (1976) Slalom skiers*. Speed skaters*. 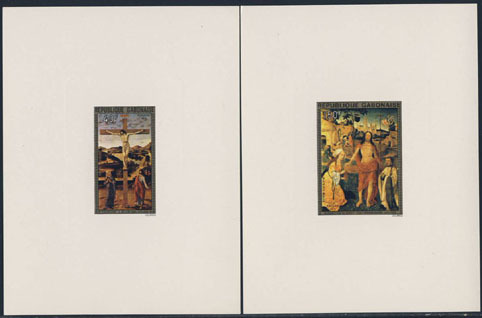 Deluxe sheet of triptych. 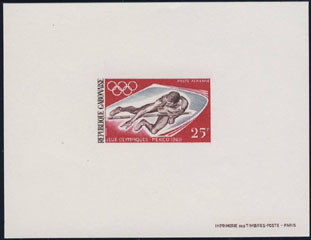 Innsbruck Olympics. Scott Nos C174-5, Yvert Nos PA174-5. 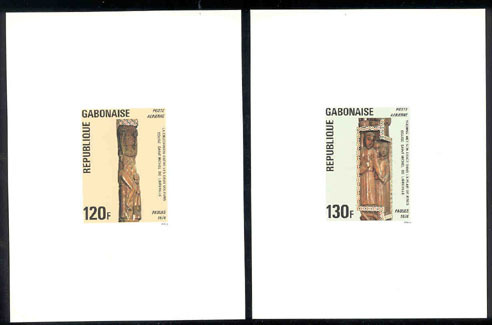 9360 EL GABON (1976) Religious carvings*. 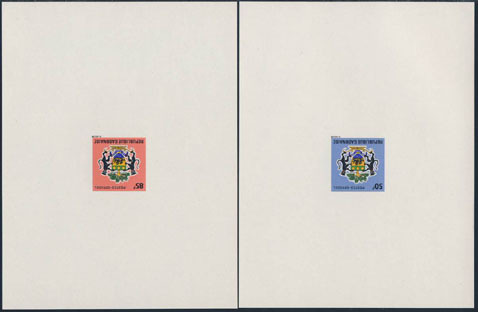 Set of 2 deluxe sheet. Scott Nos C176-7, Yvert No PA174-5. 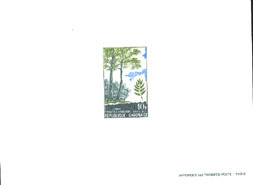 11078 EL GABON (1976) Sculptures sur bois*. 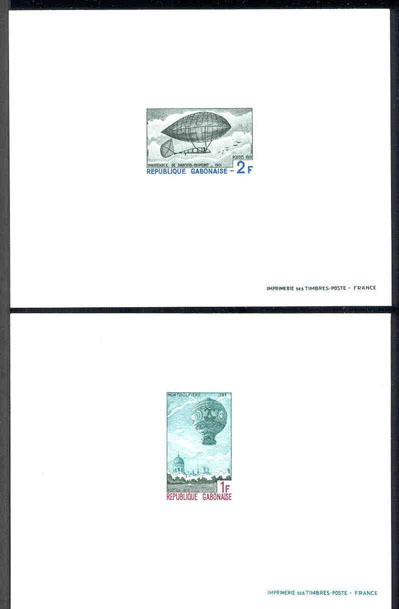 Séries de 2 épreuves de luxe, P�ques. Yvert Nos PA174-5, Scott Nos C176-7. Très beau! 908 EL GABON (1978) Wood carvings - "The Visitation"*. "Massacre of the Innocents"*. Set of 2 deluxe sheets. 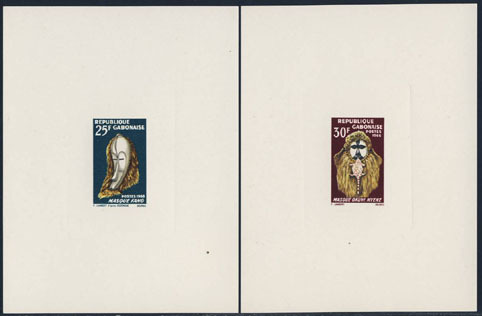 Scott Nos 421-2, Yvert Nos 409-10. 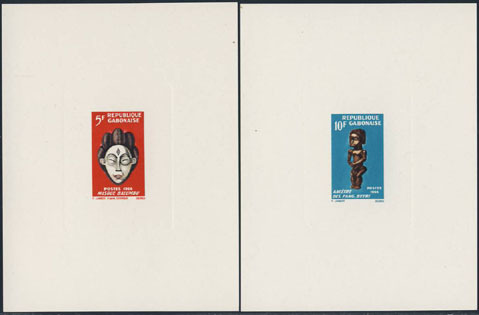 9755 EL GABON (1978) Stylized people*. 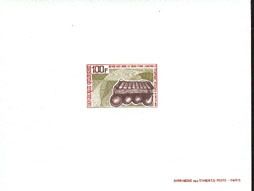 Deluxe sheet, Anti-Apartheid issue. Scott No 408, Yvert No 406. Hard to find! 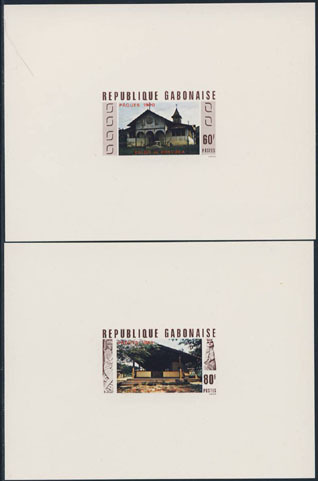 3225 EL GABON (1980) Churches*. Set of 2 deluxe sheets. Scott Nos 442-3, Yvert Nos 432-3. 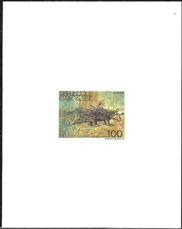 5569 EL GABON (1981) Alfred de Musset*. Deluxe sheet. Poet & playwright wrote the first modern dramas in French. Scott No 503, Yvert No 489. 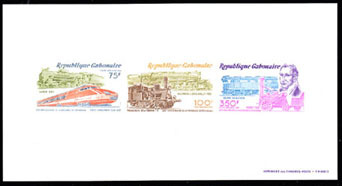 11670 EL GABON (1981) Trains*. 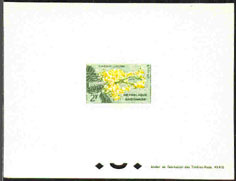 Imperforate of souvenir sheet. 200th anniversary of the birth of engineer George Stephenson. Scott No C251a, Yvert No BF39. 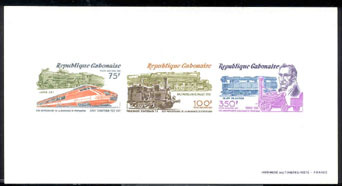 11671 EL GABON (1981) Trains*. 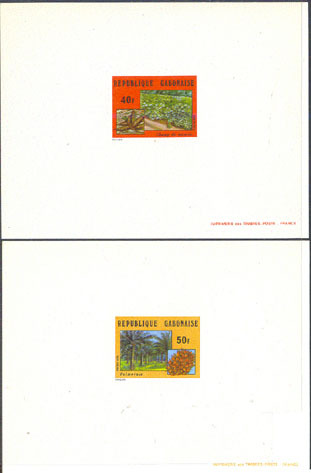 Deluxe sheet of souvenir sheet. 200th anniversary of the birth of engineer George Stephenson. Scott No C251a, Yvert No BF39. 3261 EL GABON (1982) Still Life with mandolin*. Boy blowing bubbles*. Set of 2 deluxe sheets. Scott Nos C254-5, Yvert Nos PA252-3. 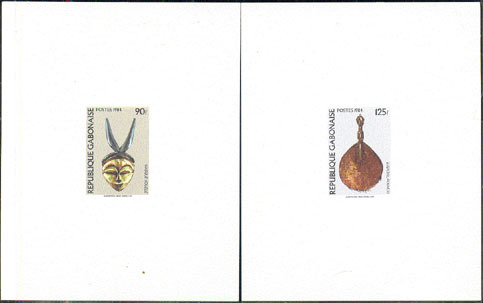 15993 EL GABON (1983) Ndoumou dancer*. Deluxe sheet. Scott No 546, Yvert No 544. 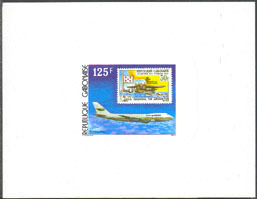 17217 EL GABON (1983) Freighter*. 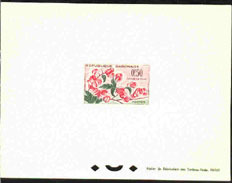 Deluxe sheet. 25th anniversary of Maritime International. Scott No 530, Yvert No 517. 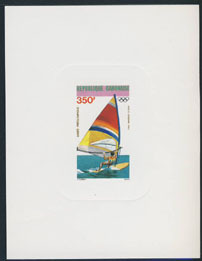 17218 EL GABON (1983) Windsurfing*. Deluxe sheet. Scott No C257, Yvert No PA255. 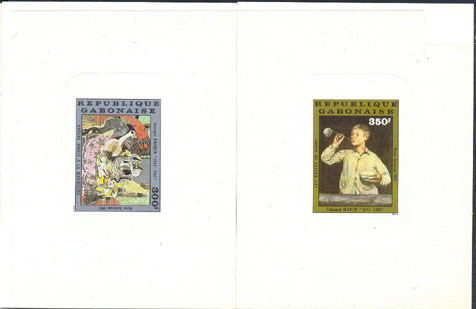 17613 EL GABON (1983) Telephones*. Deluxe sheet. Scott No 536, Yvert No 532. 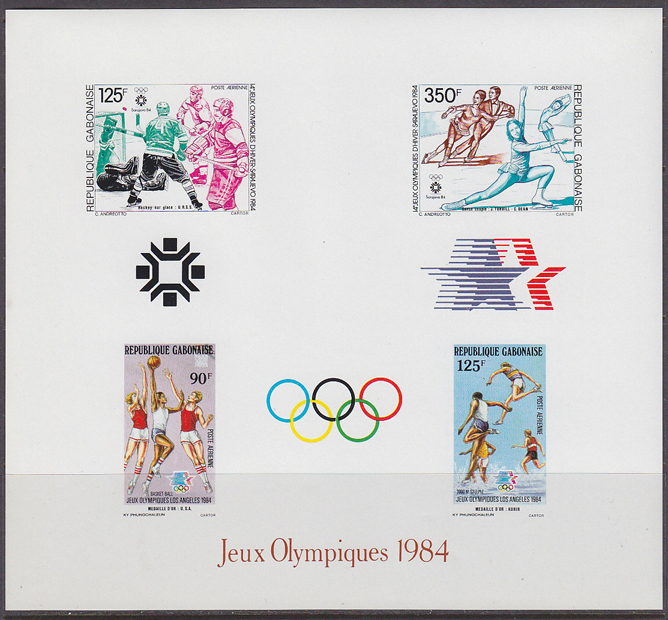 11449 EL GABON (1984) Los Angeles Olympics. 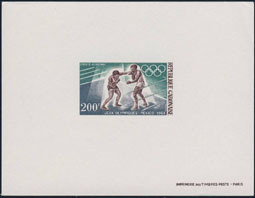 Deluxe proof of minisheet of 4 with gold medal winners printed. Scott No C268. 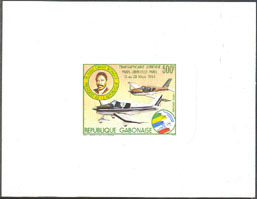 15512 EL GABON (1984) Planes*. President Bongo*. Deluxe sheet. 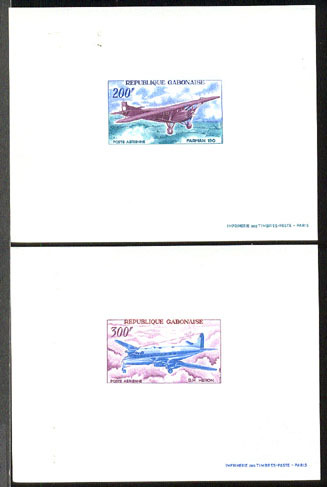 Pairs-Libreville air race. Scott No C264, Yvert No PA262. 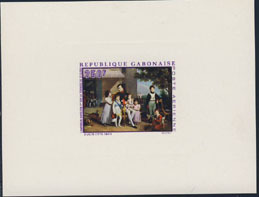 17538 EL GABON (1984) Stamp*. Planes*. Deluxe sheet. 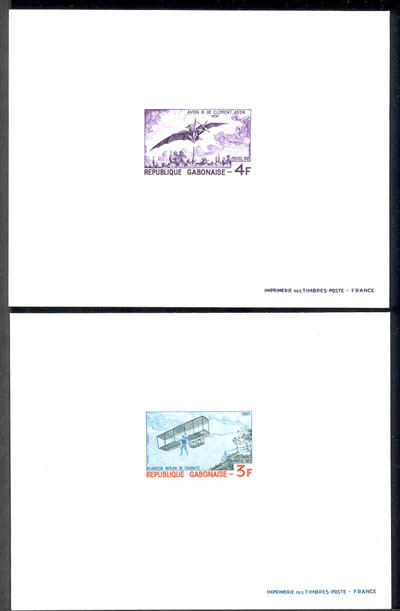 Scott No 553, Yvert No 551. 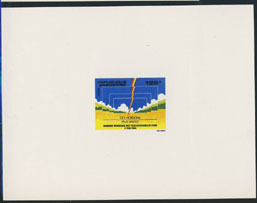 17603 EL GABON (1984) Lightning bolt*. Deluxe sheet. Scott No 564, Yvert No 558. 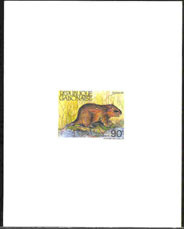 15067 EL GABON (1985) Great cane rat (aulacode)*. Deluxe sheet. 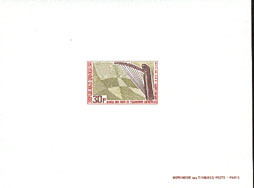 Scott No 581, Yvert No 586. Unusual! 15068 EL GABON (1985) Porcupine*. Deluxe sheet. Scott No 582, Yvert No 587. Unusual!